The Twentieth Session of the Conference of the Parties (COP 20) – the latest in a series of meetings of the decision making body of the UN Framework Convention on Climate Change –began in Lima this week. Many in the media are quick to point to the difficulty of obtaining international agreement on greenhouse gas emissions reductions, and to denounce COP 15, which took place in Copenhagen in 2009, as a failure. Far from being a failure, the Copenhagen meeting paved the way for future climate change action. World leaders agreed ‘that climate change is one of the greatest challenges of our time’ and emphasised their ‘strong political will to urgently combat climate change in accordance with the principle of common but differentiated responsibilities and respective capabilities’, and it was agreed that ‘deep cuts in global emissions are required’. The Copenhagen accord also said that a new Copenhagen Green Climate Fund would be established to support developing countries to limit or reduce carbon dioxide emissions and to adapt to the effects of climate change. The last objective is in progress: the green climate fund was set up at COP 16, held in Cancun, Mexico in 2010, and several major countries have pledged money. Japan has pledged $1.5 billion, the US has pledged $3 billion, Germany and France have pledged $1 billion each, the UK pledged $1.13 billion and Sweden pledged over $500m. This brings us close to the informal target of raising $10 billion by the end of the year. The goal is to increase funding to $100 billion a year by 2020. There have also been several smaller donations. This is a key step in tackling climate change, because the gap between developed and developing countries in their ability to respond to climate change and their level of responsibility for causing the problem must be addressed. Obtaining international agreement to reduce emissions is a real challenge. It is not surprising that it is difficult to reach consensus on a course of action between a large range of different countries at different stages of development who bear differing levels of responsibility for greenhouse gas emissions to date: the UN Framework Convention on Climate Change has 196 Parties. However, there has been significant progress towards global emissions reductions, led by the EU, China and the US. Prior to the Copenhagen COP, the UK Climate Change Act was passed in 2008, and contains a legally binding commitment to reduce UK emissions by at least 80% on 1990 levels by 2050. In addition, the UK Committee on Climate Change has recommended an emissions reduction of 50% on 1990 levels by 2025 in order to meet the longer term target. Some have argued that by taking unilateral action, the UK put itself at risk of losing out economically to countries that had not made such pledges. 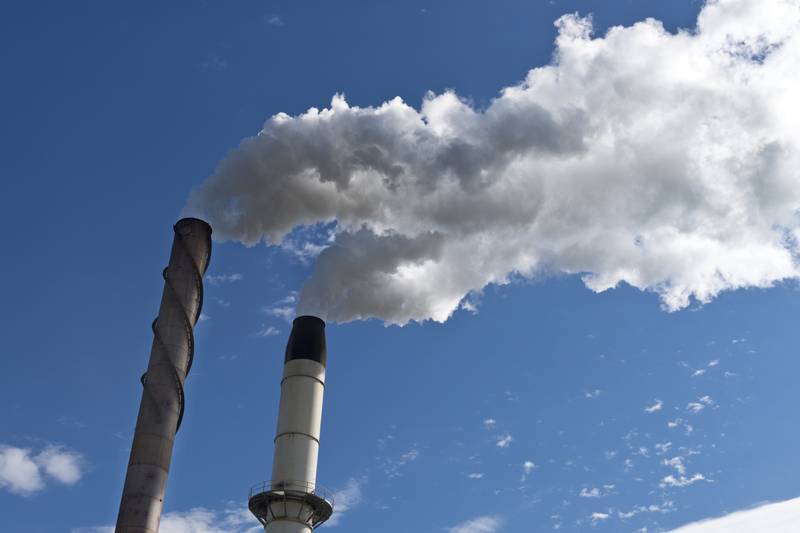 Competitiveness concerns have been evaluated by the Committee on Climate Change, the body set up as part of the Climate Change Act to advise the UK government on emissions targets. The committee found that ‘costs and competitiveness risks associated with measures to reduce direct emissions (i.e. related to burning of fossil fuels) in currently legislated carbon budgets are manageable.’ Continued support from the EU emissions trading scheme may be needed in the 2020s, but this depends on progress towards a global deal. By making this commitment the UK has been able to enter into negotiations with other countries from a position of strength. The UK is one of the leading historic emitters of carbon dioxide – it is, of course, the sum total of our emissions beginning in the industrial revolution that will, to a good approximation, determine humanity’s impact on the climate, not the emissions in any given year – and therefore it is right that the UK took the lead by making this commitment. Had we not made such a pledge, it would have put us in a more difficult position when negotiating with other countries, particularly those still on the path to development. The UK is not now acting alone – other major countries have recently made significant emissions reduction pledges. The recent European Council agreement that the EU should cut emissions by 40% on 1990 levels by 2030 represents a step forward. It was decided that all member states should participate, ‘balancing considerations of fairness and solidarity.’ It was also decided that 27% of energy consumed in the EU should be from renewable sources by 2030, and a more interconnected European energy market should be developed to help deal with the intermittency of renewable sources of energy. The EU target is still not quite as ambitious as the UK target. However, this latest EU agreement is a significant step in the right direction and demonstrates that international cooperation on a large scale is possible, albeit within a body like the EU with pre-existing economic ties. In addition, it generally costs more to cut emissions the faster the cuts are implemented. If the world is genuine in its commitment to tackling climate change, very significant emissions reductions are ultimately required, and delaying action means having to cut emissions more quickly at a later date – at a higher cost. In addition, the Committee on Climate Change found that despite short term increases in electricity prices, early action means that UK electricity prices are projected to be lower in the medium term compared to a fossil fuel intensive pathway, assuming there is an increase in the carbon price in the future. A recent development is the bilateral agreement between China and the US. China stated that its emissions would peak by 2030, by which time the country aims to get 20% of its energy from non-fossil fuel sources, and the US pledged to reduce its emissions by 26%-28% on 2005 levels by 2025. Some have suggested that the agreement does not go far enough because China’s emissions will continue to rise until 2030 under the deal, and the US target is not as stringent as the EU or UK targets. However, these pledges coming in the lead up to Lima from the two largest emitters globally are hugely significant, and pave the way for further progress. China has already made significant progress in reducing the energy intensity (energy per unit of GDP) of its economy: the 11th Five Year Plan, covering the period 2006-2010 aimed to reduce energy intensity by 20%, and achieved a reduction of 19.1%. Despite some disruption to the energy supply, this success in meeting the target demonstrates the Chinese government’s track record of achieving its objectives on green growth. The current five year plan aims to cut energy intensity and carbon intensity (carbon emissions per unit of GDP) by a further 16% and 17% respectively on 2010 levels by 2015. It is right that developing countries should be able to grow their economies – China’s per capita GDP is still relatively low – and this has to be balanced with climate change targets. The EU, China and the US together accounted for just over half of total global carbon dioxide emissions in 2013. Their pledges demonstrate that smaller groups of countries made up of the major emitters can make a difference without waiting for far-reaching international agreement on emissions reductions. Their willingness to act also has the potential to spur other industrialised countries into reducing their own emissions. More action is still needed, but there has been significant progress since the Copenhagen conference, which should pave the way for more ambitious pledges. Previous Previous post: Why subsidise renewable energy?